A ton of fun Vehicles printables for your kids! 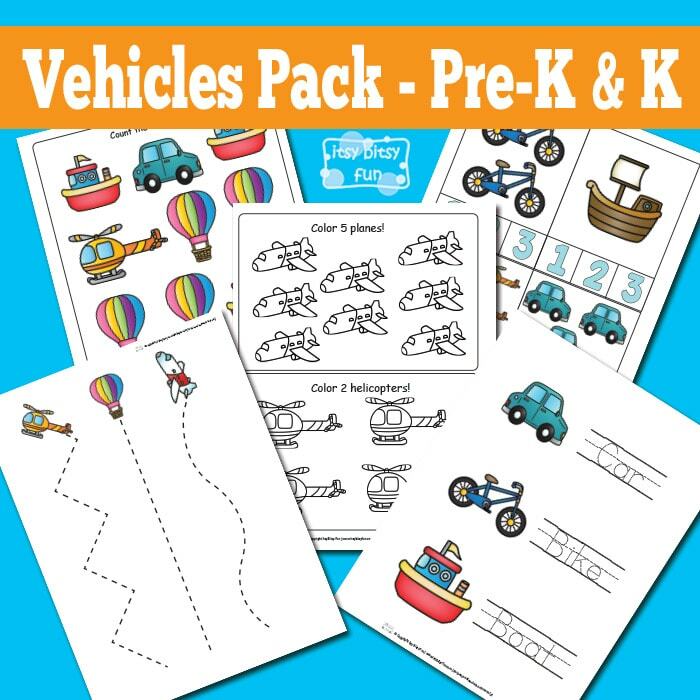 This printable Vehicles pack is perfect for kids in kindergarten and preschool. There are so many kinds of vehicles and as these are a fun subject for every kid I’m sure your kid already knows them all! This is another pack that is added to the ever growing free printable worksheets collection and I hope you and your kids will enjoy it! This pack has 11 pages! Some of these pages can be laminated so kids can use them again and again! Get your free printable Vehicles Worksheets for Preschool and Kindergarten here.